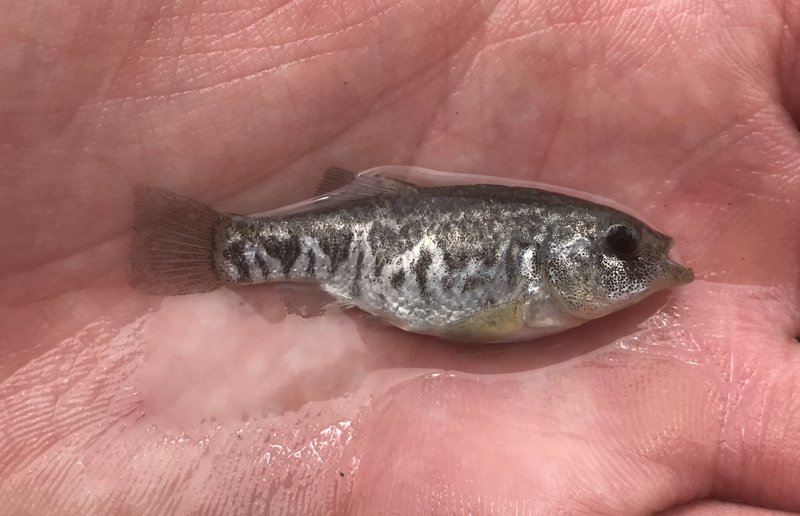 The Pecos Pupfish, Species #183, is one of my favorite catches because I’m likely one of the only people on Earth to ever catch it on hook-and-line tackle. Maybe THE only one. If you’ve caught one, hit me up, so I don’t look like an a-hole. The world of Species Hunting goes by many names: Species Hunting, Species Fishing, Lifelist Fishing, Lifelisting, etc., but I call it my #SpeciesQuest. Growing up, I’d gone from not fishing during the winter to fishing only for trout to traveling far and wide to fish for anything I could. Since trout weren’t available, I had to broaden my horizons. Little did I know, but the temperate climate I lived in and my love for the Pokémon games and their message “Gotta catch ’em all” were grooming me to be a Species Hunter before I knew it. Though I grew up loving to fish for anything and everything that swims, I didn’t honestly consider myself a “species hunter” until the fall of 2017. It was this time when I finally decided to count how many species I’d actually caught: a whopping 105. Not bad, considering there are only 82 species officially confirmed in Oregon but also not good, considering there is an angler named Steve Wozniak (no, not the Apple co-founder) who is fast-approaching 2,000. Steve Wozniak probably wasn’t the first species hunter, but he was the first to do it so well that it brought mainstream attention to this segment of the angling world, hitting 1,000 fish species in July of 2010 and earning renown in the process. I happened to “meet” Steve via email in 2016 and then actually got to fish with him this spring. He’s been a mentor and friend who has helped me find my way not only to new fish species but to fellow species hunters who have also helped me in my journey, including Ben Cantrell and Josh Leisen (each at 500+ species), Kenneth Tse (800+ species), and the mysterious Eli (1,100+ species). Like any good cult, Species Hunting has evolved its own set of rules, established by the community that partakes in the sport, with precedence given to those individuals who have found the most success. 1. Every species has value. There are no “trash fish.” Every fish has worth if only for that first-time catch, called a “lifer” by most. 2. Science matters. Species hunters generally tend to value the science of fishing, of knowing what species reside where and how those species fit into the larger ecosystem. This inquisitive nature tends to make species hunters better anglers overall. If you know what little fish the trout and bass are feeding on, you can target them more effectively, right? 3. Species hunters don’t eat their young. The species hunting community is as tightly knit as any other angling community. As a trout angler, I’m unlikely to give you GPS coordinates of where I caught my latest 28-incher. As a species hunter, I’ll tell you exactly where I was standing when I caught that species you’re currently chasing — most of the time. I even track this in a Fishing Map. Learn how to build your own by clicking here. 4. Species hunters are social. There are a number of social constructs out there, and I’m part of Facebook groups, online communities such as specieshunters.com or roughfish.com, and there are always Instagram chats. 5. Be honest. Most species hunters only count fish they legally hooked in the mouth on hook and line. Others allow snagging fish where legal. Still others might include catching fish by hand, spearing or shooting them or even using a net. However you caught a fish, the community encourages you to be clear how you caught it and to never lie even if the sport of fishing, as a whole, is one that tends toward exaggeration. Follow these rules, and you will be welcomed into #specieshunting with open arms. Just as I (and my 237 species and counting) have been.